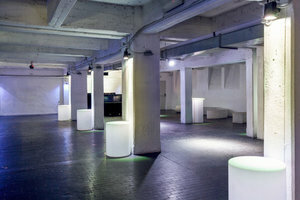 This industrial style basement event space is located in the stylish area of the Tortona District. 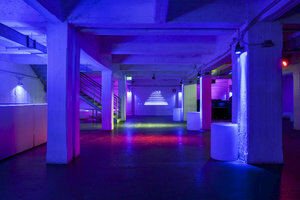 At 435 sq m it is ideal for creative Product Launches, Private Events and Innovative Showrooms. 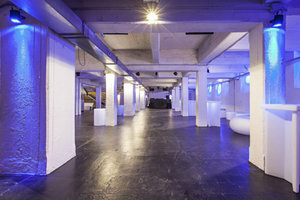 This space, located at basement level is a unique and trendy venue with white-washed walls, black flooring and industrial style columns throughout. The venue has a creative atmosphere and is transformable, giving brands, desginers and organizations the opportunity to curate their ideal pop-up event. Location in a fashionable part of town with museums, retailers and attractions in the surrounding area. This space is a great spot for those looking to make an impact with a one-of-a-kind event.